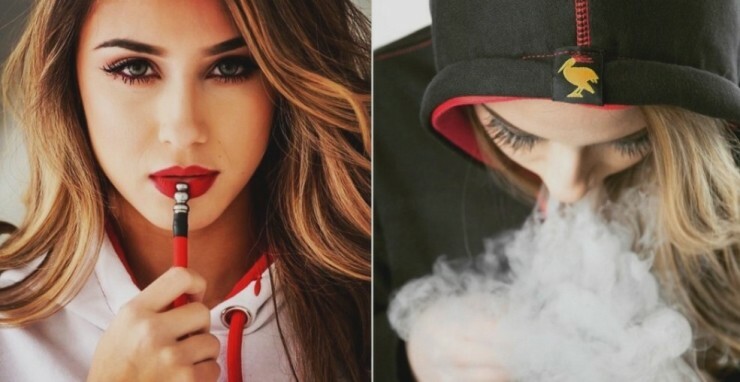 VaprWear Hoodies Let You Smoke On The Down Low | OhGizmo! You’re looking at the VaprWear, a line of hoodies with a vaporizer as the drawstrings. That’s right, the hood drawstring features a dlo3 e-cig vapesystem on one end, and a mouthpiece on the other. So, you can be walking down the street and when you feel like a little toke, just stick the mouthpiece end in your mouth and pull. It accommodates e-juice, oil, or wax, and they’ll have a dry herb model out soon. It’s designed by “Elvis “Papi” Edwards, a Caribbean native, former athlete, socialite, model, actor, and entrepreneur.” And it came to fruition after Colorado changed its laws to allow for the use of recreational marijuana, so you can understand the kinds of e-juices, waxes or oils you’re meant to be using with it. It’s $99 for the hoodie, in either male or female versions, and it does include the dlo3 system. VaprWear Hoodies Let You Smoke On The Down Low” is an insult to vapers.